Hi friends! Hope you're having a good week so far. Welcome to another wiww post! Are you in a dressing rut? Need some fun outfit inspiration? Well you've come to the right place. 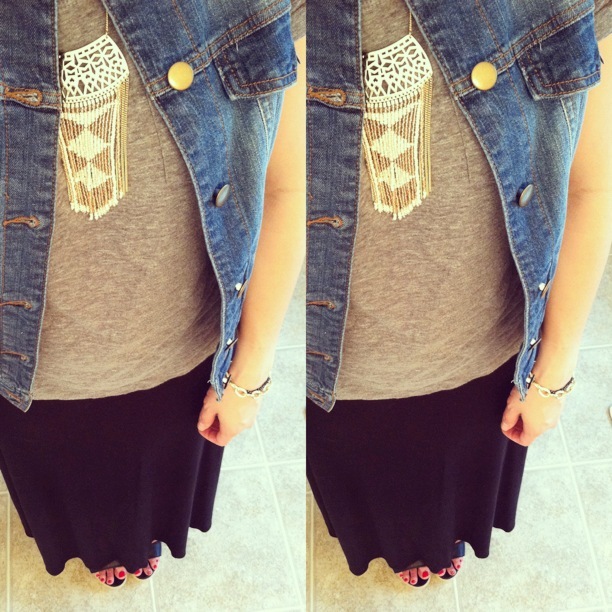 Each week (Most weeks) I link up with some fashionable ladies and we share outfit posts. It's a great way to think outside of your comfort zone and get the motivation to get dressed! Here is how my week panned out. I loved how this outfit turned out. Sometimes on Instagram I'll join a fun tag created by the stylish folks over at Coast To Coast Challenge (#coasttocoastchallenge). Each week they come up with a theme and its been so much fun outfit planning so I can participate! This week was Neon! 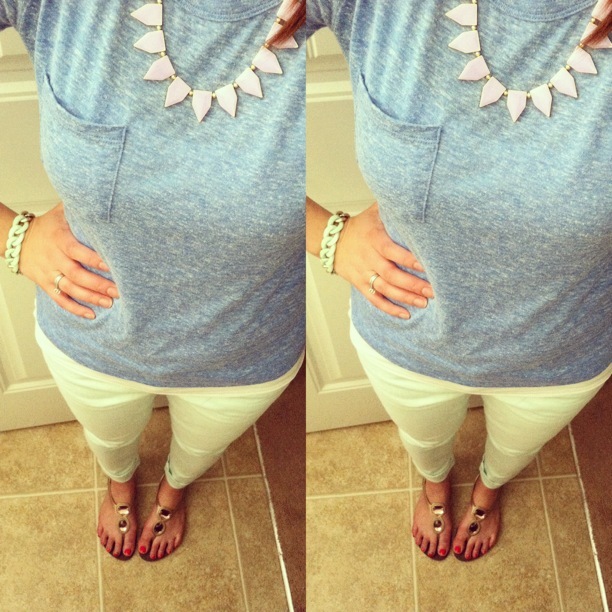 I received this beautiful necklace earlier last week and couldn't wait to style it! These next two outfits were worn over the weekend. 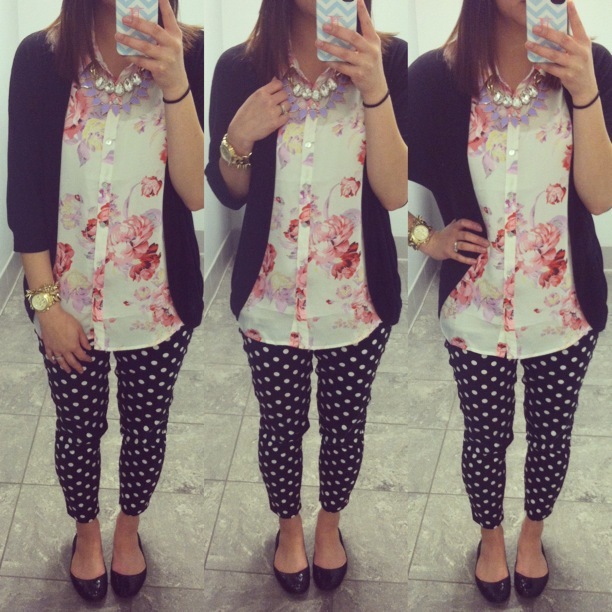 Love everything from the phone cover to what you are wearing!! Outfits #1 and #4 are my absolute fave!!! Ps. Today is the 2nd time for my new fashion linkup called Trending Pretty, would love to have you if you'd like, I just posted it! That first outfit couldn't be more perfect! I love the bright yellow with cobalt. Gorgeous! Outfit 4 is pretty awesome too! You have such cute outfits! 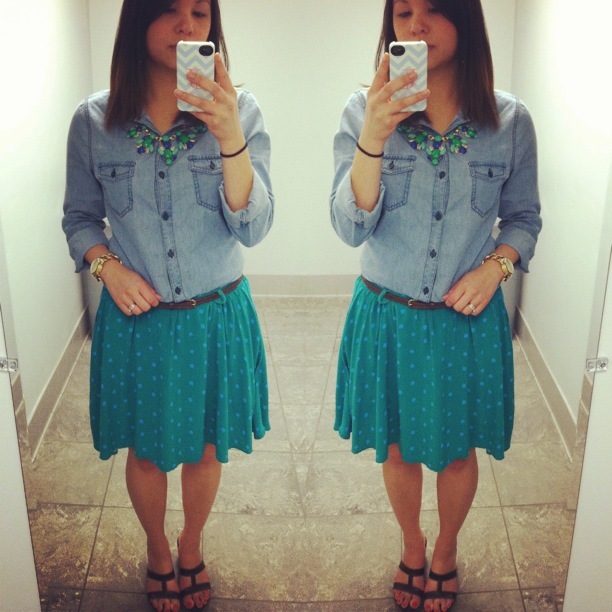 I love that Target skirt you wore the chambray, the geo necklace and the floral top! Such great looks! Great necklaces. Loved them all. Thanks so much for visiting my blog! I am such a sucker for necklaces!